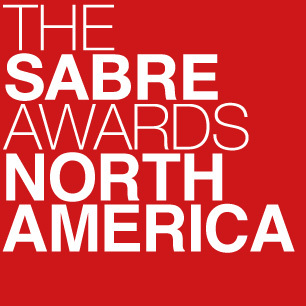 Winners will be unveiled at the EMEA SABRE Awards in Amsterdam on 23 May. Analysis of all Finalists across 20 categories can be accessed via the navigation menu to the right or here. Certain quarters of the PR industry may be waiting impatiently for this box of creative fireworks to fizzle out into all hope and no glory, but Hope & Glory shows no sign of slowing down on its habit of coming up with completely original ideas that earn attention, sell clients’ stuff, and sweep the board at awards ceremonies (it’s shortlisted for 12 gongs at this year’s SABREs alone). The numbers are looking healthy, too: fee income grew by more than 19% to £5.69m over the year (and is aiming for £6.4m in 2018) and monthly fee income grew by 25% to £490,000. There is an even male/female split on the board, no gender pay gap across the business, and a third of the team of 64 started as interns. Founders James Gordon-Macintosh and Jo Carr, perfectly aware that Hope & Glory is now a six-year-old mid-size agency people rather than a hot start-up, and that it is only as good as its last brilliant campaign, have identified the greatest risk to the firm is sliding into mediocrity. To ensure there is no laurel-resting going on, they’ve invested in more training across the agency and have been working with an innovation consultant on creative idea generation. Hope & Glory also invested in sister digital agency OneFifty, and the two teams work together on clients including O2 and Sony. Edelman acquired Swedish creative shop Deportivo (which describes itself as an “earned advertising agency” that helps brands shape culture) in the summer of 2014, at which time the firm has already built a global profile for itself despite the fact that it had fewer than 20 employees. Today, Edelman Deportivo is well on its way to becoming a global creative hub for the world’s largest PR agency, with 25 people in Sweden and another 30 in the UK, where Toby Gunton, a veteran of OMD and WCRS, was hired to embed some of Deportivo’s creative DNA in the region’s largest office. Golin continues to be one of the defining PR agencies of the decade, leading the way in changing the industry for the better. As well as being one of the most consistently creative agencies in the UK, it has arguably one of the strongest employer brands in the industry, and was well ahead of its time in terms of a focus on diversity and equality. The firm also emerged as one our most-shortlisted agencies this year for its creative work, with eight SABRE nominations including the Sweet Art Gallery pop-up brand experience for Maynard Bassetts and recreating Edvard Munch’s brushstrokes for Adobe’s Photoshop in its Hidden Treasures campaign. The agency’s motto is “courageously happy”, underlining its people-first culture, from training up mental health first aiders to mentoring and unconscious bias training with Taylor Bennett Foundation, to reporting on Golin’s positive gender pay gap even though it doesn’t have to as it has under 250 employees. Other initiatives include Golin B&B: an innovative programme to attract talent from outside London, covering accommodation for around 12 interns a year interns so they can afford to work in the capital. MD Bibi Hilton, who is this year’s president of Women in PR, has been on quite a journey since she joined the firm 12 years ago, when it had 20 employees. Golin has grown to a 150-person agency, and since Hilton took over from Matt Neale in 2015, she has continued to grow the business exponentially, with double digit growth every year. Like many larger agencies, 2017 was something of a blip on the growth chart, however, dropping back to single digits, despite big brand wins in Golin’s FMCG heartland including Merck, Green & Blacks, Maynards Bassetts and Capri-Sun. Golin retained Npower in a competitive pitch and produced what Hilton describes as her team’s “bravest and boldest” campaign of 2017: the emotional “Heat or Eat” campaign to highlight that heating the home or buying food is a very real choice for many families in the UK. And the agency has had an unprecedented start to 2018, winning seven competitive pitches so far, including Water Wipes (integrated work with sister agency Brooklyn Bros) and a social and digital brief for Danone’s Volvic and Evian brands. The continuing struggles of a consolidated German operation, the loss of a significant chunk of Procter & Gamble business, and the elimination of several branded offices (to be replaced by the generic Omnicom PR Group non-brand) meant that Ketchum’s financial performance in EMEA last year trailed many of its competitors—down about 2%. But it’s noteworthy that the firm’s financial struggles have not adversely affected its creative output. 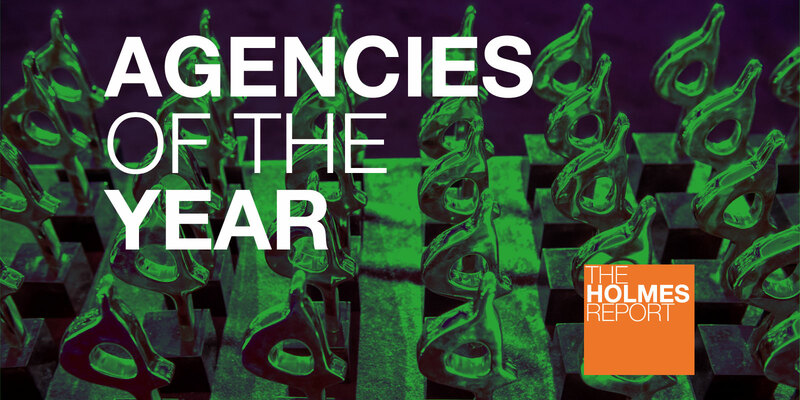 At both the global and the EMEA level, Ketchum continues to turn out award-winning creative work to rival not only its multinational peers but also many of the local boutiques. That’s no accident: it’s the result of a corporate culture that celebrates big ideas at every opportunity, and a process that now integrates earned, shared, owned and a growing amount of paid work; a bespoke approach to influencer marketing that balances reach, relevance and resonance. In Europe, there’s a “creative community” of talents that spans offices and disciplines, including Hans Tranberg, a creative associate in the UK who personifies the firm’s exultation in big creative ideas; Francesco Pesaresi and Giovanni Rotino, creative directors in Milan; Michael Doerwald, creative director in Dresden; David Nelles, head of creative planning in Stuttgart; Amandine Servotte, a strategic planner in Brussels; and Pepita Adelmann, head of business development for EMEA. In 2013, our Global Creative Index—which analyzes the results from dozens of creative awards around the world—ranked Unity as pound-for-pound the most creative PR firm in the world. It retained the top spot in 2014, came in second in 2015, returned to number one in 2016, and was third in 2017. In other words, the London-based boutique firm has consistently ranked among the most creative agencies in the world. And it looks set to continue that run of success in 2018, if its seven EMEA region SABRE nominations—more than some of the global networks—are any indication. As ever, the firm has done some sterling work in the non-profit sector, launching a holiday campaign for Action Aid, “Yours Mrs Claus” that cut through the Christmas clutter, and supporting Get Safe Online by unleashing “Scammer Nanas” upon the UK’s unsuspecting youth. But the firm has also been demonstrating its ability to turn creativity in business results for corporate clients, finding a creative hook to get both corporate customers interested in ADT home security systems and promoting a menu of mouthwatering television for Sky Atlantic via “The Drama Kitchen” partnership with Dan Doherty, executive chef of Duck and Waffle.